Before dismissing “total talent” as another HR buzzword, let me help you understand a bit more about it and why total talent matters for every business leader. Put simply, total talent involves everyone within your available talent pool, from internal to external talent. Instead of just considering your full-time permanent employees as your workforce, your total talent includes any contingent talent such as freelancers and contractors, alumni who have either left your company or retired, vendors, as well as people looking to join your organization. Engaging with your total talent makes good business sense. For instance, if a talented worker decides to take a sabbatical, you risk losing their vital experience and skills if you fail to keep in contact with them. However, adding them to your total talent pool (with associated processes in place to manage and engage with that talent pool) ensures that their knowledge is not lost. Likewise, someone retiring doesn’t mean that they cannot still contribute to your company. They might return for a special project or to consult and mentor others. Work itself is changing and people no longer wish to remain in permanent, structured roles. It may be, in the future, that the only way to attract the best talent is to be flexible about the way that they work. 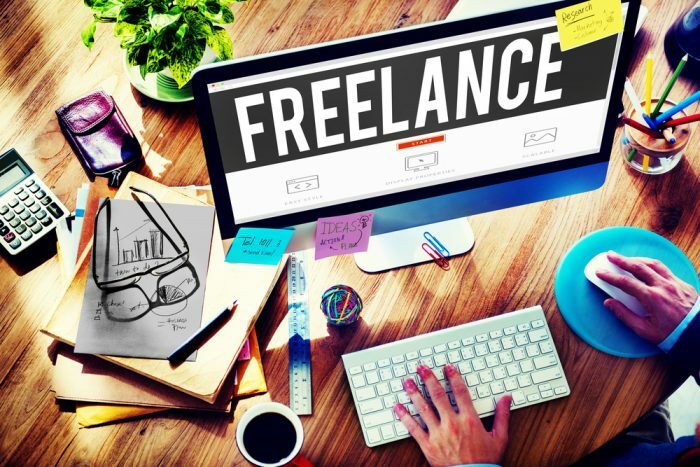 In a decade, the majority of the US workforce is expected to do at least some freelancing, so employers may have little choice but to work with freelancers. This will require a different view of the workforce and having a more holistic view of workers is a top priority for 89% of businesses. Then there’s the changing employee experience expected by many permanent workers. They’re now asking more of their employers, not just providing a place to work but a partner for their career goals and life aspirations. Today’s employees know what they want and where they are going – and they’re looking for employers who will help them achieve it. The only way for organizations to keep up with these expectations is to have a complete view of their ambitions and career plans. Additionally, many employees now have side gigs (14% of millennials according to a Deloitte survey), which employers have little-to-no visibility of. Managing your total talent gives you an overview of these skills – you never know when someone’s global e-commerce experience might come in handy in your business. So how can you go about it? Firstly, understand that there’s more to managing your total talent than simply buying the right technology and building processes. It requires a shift in mindset and company culture. It requires putting the worker at the center of it all. Today’s managers need to find someone to fulfill a task, but that person doesn’t necessarily have to be a full-time worker. Changing a company’s culture from a permanent workforce view to a task-based one can be tough and not without its critics. But, again, the majority of the workforce is moving towards a more contingent set-up, so old-world resourcing views aren’t going to work in a future where permanent workers are in the minority. Of course, having a talent pool which isn’t just permanent poses unique challenges for HR leaders – and the wider business too. It’s a lot easier to manage and engage a workforce that’s located on-site, 9-5, five days a week. Managing your total talent needs strategies that can cross borders and unite people when they may never meet face-to-face, when there’s ever-changing teams working on projects and when everyone works in a different style (gig working vs part time, for example). You’ll need systems to identify different parts of your talent pool, track skills and experience, effectively resource people onto projects based on their experience and keep in touch with everyone. Plus, you’ll need a consistent way of mapping out and describing different skills (a HTML coder versus a front-end developer, for instance). Machine learning is already helping with this, particularly when matching the right people to tasks that suit their ambitions and talent. Finally, there’s educating wider stakeholders (getting their buy-in in the process)and bumping your total talent strategy up the priority list. Senior management will sit up and take notice if you tell them that the majority of their workforce will leave the traditional talent pool for the total talent one within the next decade. Therein lies the urgency behind understanding your total talent. If you want your talent management strategies to stand up in the future, you’ll need oversight of your entire talent because your permanent workforce isn’t going to stay permanent for long. After spending the early part of his career as a management consultant, building a multi-million pound business and subsequently winning a place on the Australian Institute of Management’s “Top 30 under 30” – Australian born entrepreneur Chris Milligan founded global SaaS company – Adepto. In 2013, Adepto’s first office was opened in Brisbane, Australia. 3 years later, Chris opened the company’s second office in London, UK – following increasing involvement with international brands focused on the Total Talent agenda. Chris is an established Total Talent influencer who over the last couple of years has been invited to speak at a number of leading Total Talent events, including ProcureCon HR Total Talent in September 2018.